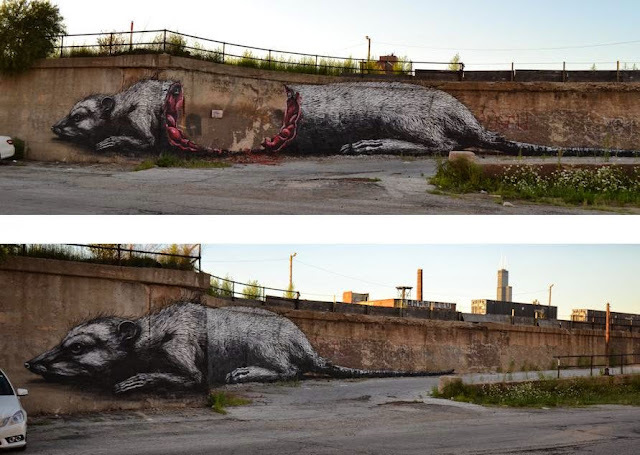 If you’re coming to Chicago to paint on walls, be warned. 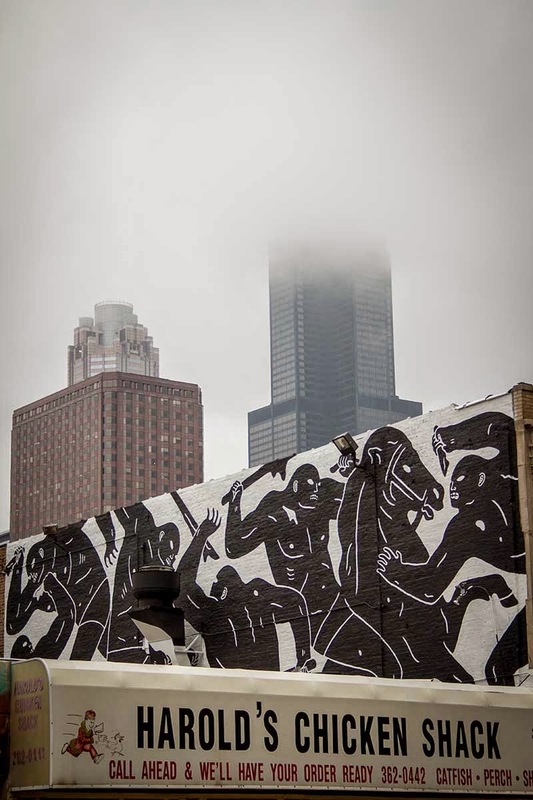 In 2014 the City of Chicago spent almost 5 million dollars on graffiti removal, and over a dozen crews were out on the streets painting over or washing spray paint off of walls. The fines for graffiti related vandalism doubled, first time offenses start at $1500. Oh, and don’t forget to bring your own cans since the sale of spray pain within the city limits has been prohibited since the 1990s! That’s the bad news. But if you take a red line train from north to south you’ll see that the artists and their creativity are not being stifled. If anything, the last few years have seen an influx of artists creating work all over the city, legally and illegally. If you’re visiting Chicago for the first time, stay downtown so you can take advantage of public transportation and/or taxis/Uber to see as much of the sprawling city as you can. There’s dozens of great hotels to choose from, so choose from the hip (The James, The Wit, Longman & Eagle) to the historic (The Palmer House Hilton, The Drake) and get ready to explore! If staying downtown, a great place to start any Chicago street art exploration is to see the new murals painted last year by artists visiting the city for Art Alliance (via Columbia College in partnership with Shepard Fairey). Awesome pieces by Cleon Peterson, Shepard Fairey, Retna, and hometown hero Pose are all within a 15 minute walk of The Palmer House hotel. If you get hungry on the walk, Cleon’s piece is on top of Chicago fried chicken institution Harold’s Chicken Shack. Harold’s of course has been made famous in songs by rappers Kanye West, Wale, Kendrick Lamar, and Common to name a few. 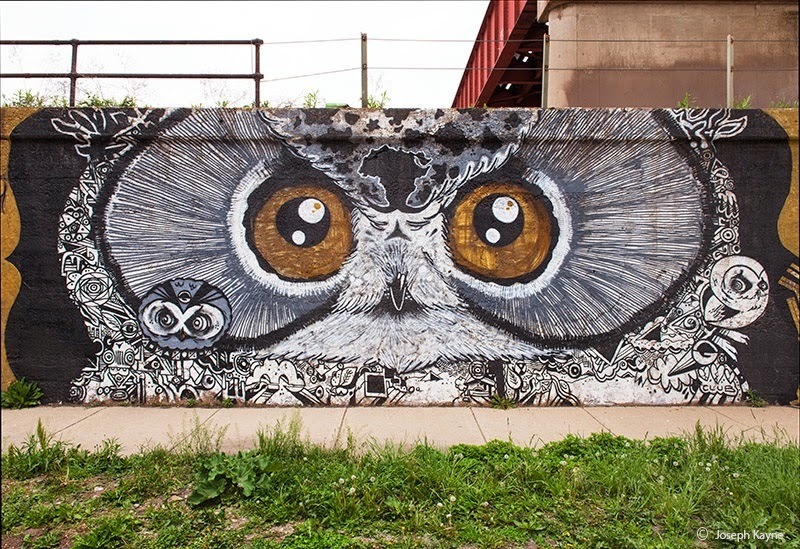 For a full day of taking in some of the best murals Chicago has to offer, head over to the neighborhood of Pilsen. About a 12-15 minute cab ride from The Wit hotel takes you to Pilsen, a neighborhood many Chicagoans haven’t spent much time in, as its past reputation for being a rough part of town. Now Pilsen continues to be transformed to a center of culture for art and food, housing some of the city’s best for those “in the know”. 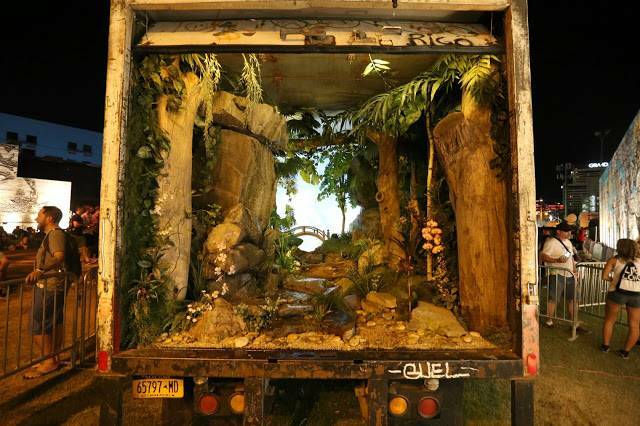 In 2012 the Art in Public Places initiative turned parts of Pilsen from dilapidated and empty into incredible works of art. 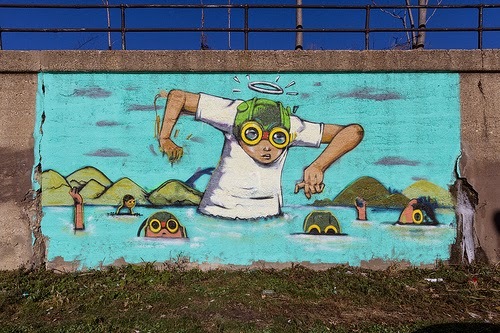 With the help of local government and facilitated by the Chicago Urban Art Society, Pawn Works, and the National Museum of Mexican Art murals have sprung up from local talents like Hebru Brantley, JC Rivera, NiceOne, Brooks Golden (RIP), Ruben Aguirre, and more. Pilsen’s Art in Public Places has also attracted the talents of international artists like ROA, DabsMyla, Reyes, Specter, RAE, Gaia, and many others. Give yourself plenty of time to explore the Pilsen Murals by walking the area bounded by 16th street to the north, the Chicago River to the east and Western Avenue to the west. When you’ve gotten your fill of art fill up on dinner at one of Pilsen’s many awesome restaurants. I’d recommend Nightwood for an incredible Mid-Western farm to table experience (make a reservation in advance) or bring cash (no credit cards accepted) to Nuevo Leon for one of the most authentic Mexican food experiences you can have north of the border. 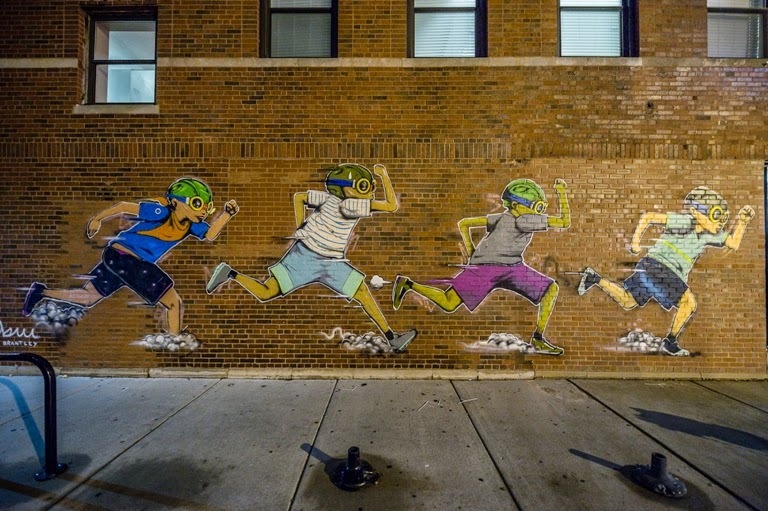 For a chance to experience what some of Chicago’s up and coming street artists are doing, check out the adjoining neighborhoods of Wicker Park & Bucktown. 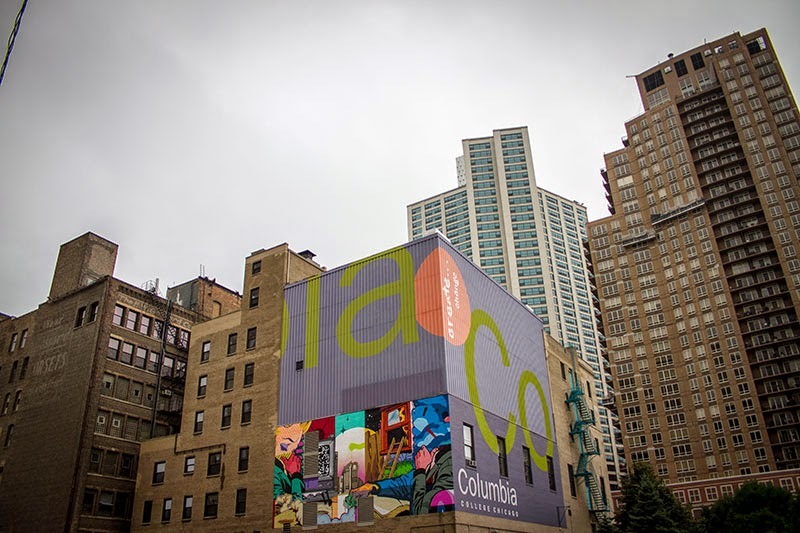 Either a 12-15 minute cab ride or a 20-25 minute train ride (Red to Blue lines) from The James Hotel , Wicker Park & Bucktown contain an incredible array of bars, restaurants, boutiques, record shops, and of course fresh art on nearly every block. 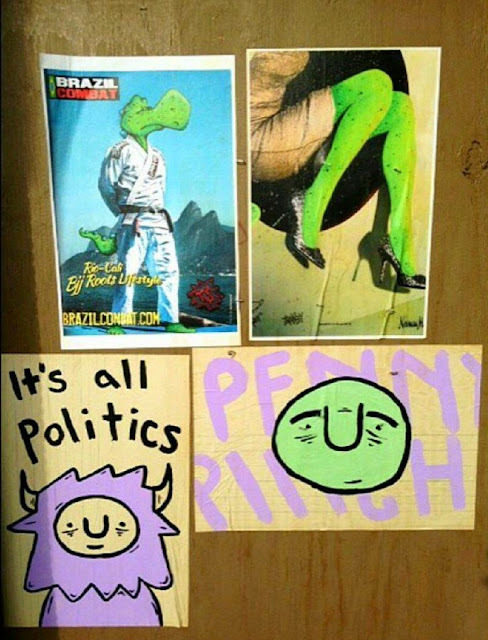 Keep an eye out for fresh paint and wheat pastes from Penny Pinch, Left Handed Wave, JC Rivera, Don’t Fret, T Money Delarue, and so many more. 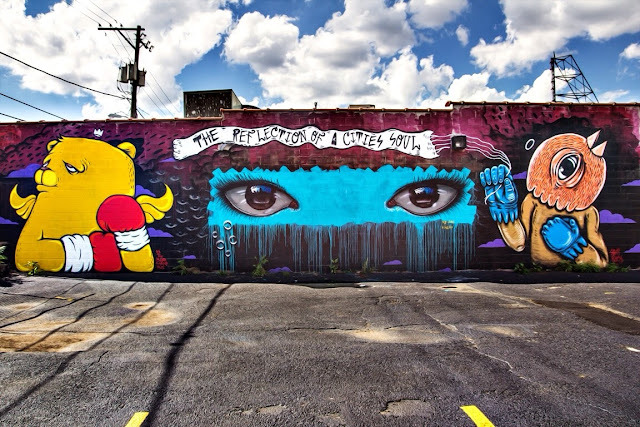 Their works and so many more can usually be found up and down Milwaukee and Damen Avenues, as well as the surrounding smaller streets and alleys. 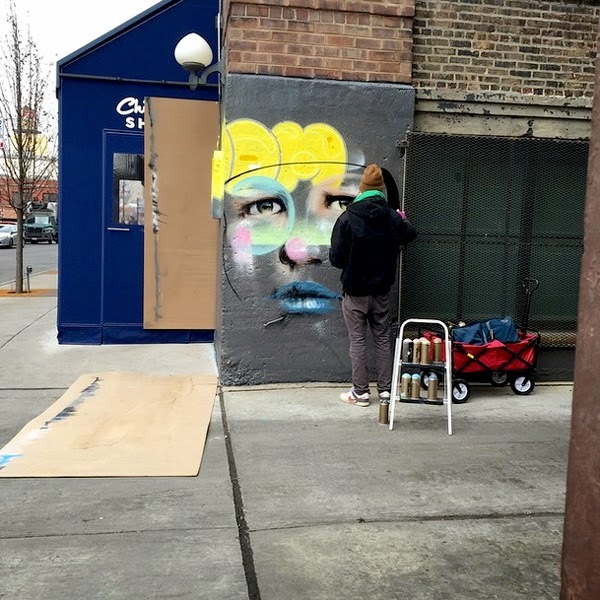 International artists such as Stinkfish and My Dog Sighs have left their marks in Wicker Park and Bucktown as well. Stop by Dove’s Luncheonette for a bite (and some killer Steve “Espo” Powers works on the walls) or grab a cocktail at recent James Beard award winner (for best bar program) at The Violet Hour on Damen Ave. The Violet Hour is known not only for its impressive drink selection, but it’s constantly changing façade which always features a fresh and impressive mural. 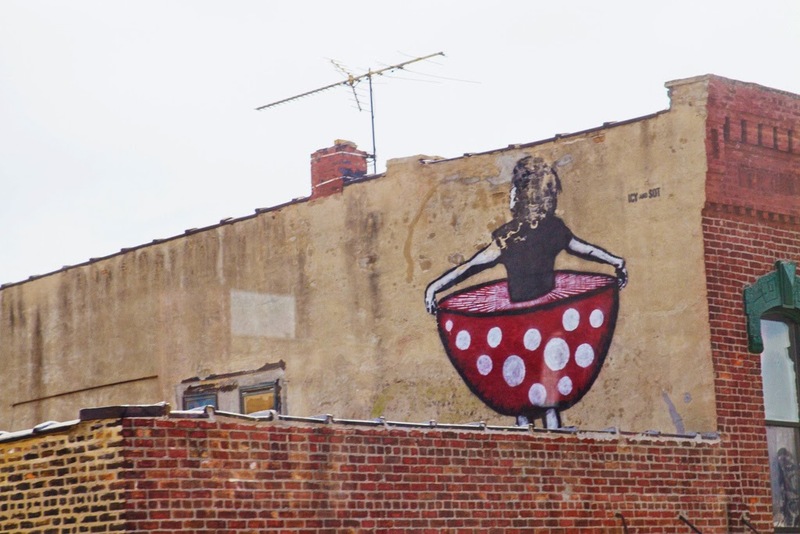 Even if you’ve sworn off the hard stuff, it’s worth walking by just to see the latest piece. The Fulton Market District continues to be a neighborhood of Chicago that’s not to be missed. 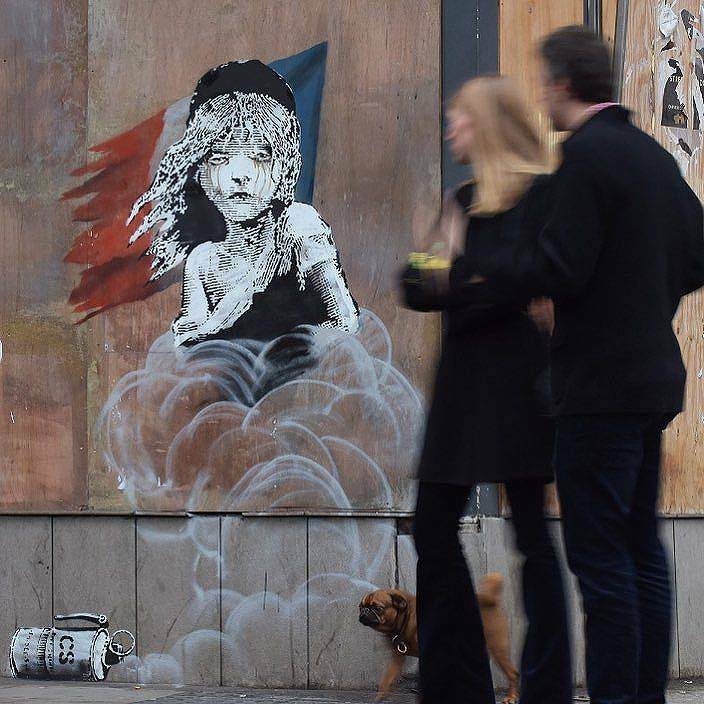 The only remaining Banksy piece in “The Windy City” barely remains on the corner of Randolph and Peoria, and is in desperate need of some restoration. The most famous (infamous?) 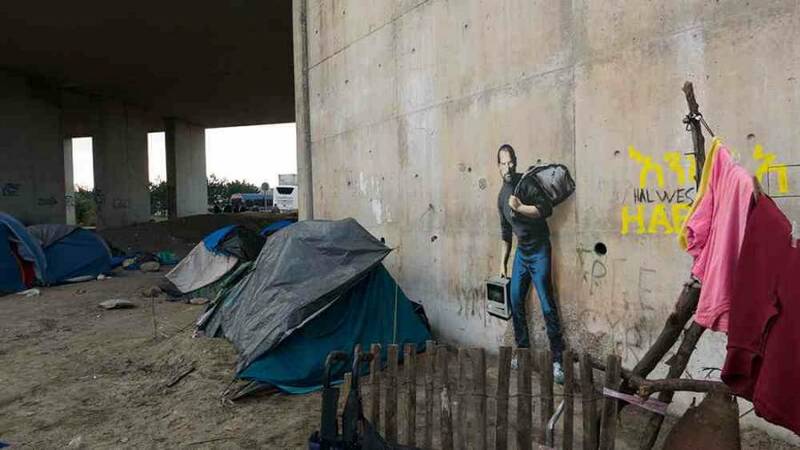 street artist in the world put up the work in 2010 as he promoted “Exit Through The Gift Shop”. 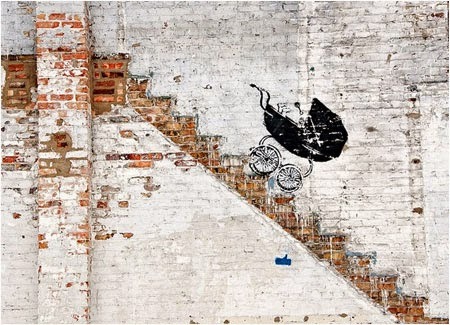 The imagery of a baby carriage moving down a flight of stairs immediately brings to mind the classic scene from Chicago movie classic “The Untouchables”. Catch a glimpse while you can as rumors abound of impending construction that would affect this classic piece! Around the corner from the Banksy pictured in our header you can look up and see Icy & Sot’s “Mushroom Girl” peering over the neighborhood. A couple of blocks down on Green Street is a great spot to see more of what Chicago’s finest up and comers are working on. The Soho House (113 N. Green St) continues to sponsor “Graffiti on Green” with murals on its building rotating between a new artist every few months. 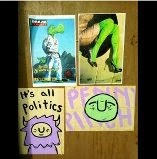 Previous works from The Lie, Sentrock, Mosher Show, and JC Rivera have been exciting and colorful. Across the street is one of Chicago’s most decorated walls, the entrance point for BBQ haven Green Street Smoked Meats. Nearly every wheat paster in Chicago is or has represented on this wall, it’s not to be missed! You can’t go wrong visiting Chicago in the spring, summer, or fall. The winter is certainly an acquired taste and even a local wouldn’t recommend that to first time visitors. Bring a healthy appetite, your camera, and a good pair of walking shoes to ensure you maximize your time. For those of us from “The City of Broad Shoulders” we’re used to hearing visitors to our city ask about Al Capone and Michael Jordan. Well, #23 lives in Charlotte and Al Capone has been dead for almost 70 years. Now our city is known as much for Kanye West, internationally renowned cuisine, and its burgeoning scene of creative young artists. Come visit and see for yourself.